The beautiful broad sandy beaches on north Norfolk are a hidden gem. 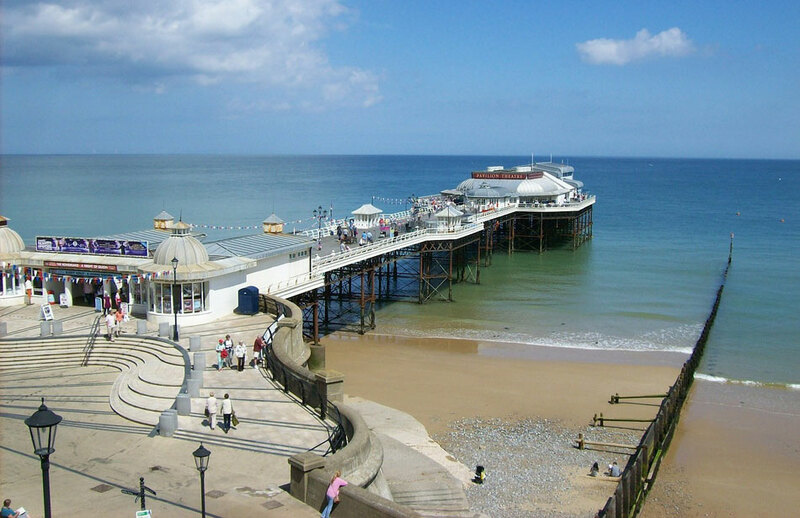 Generally unspoilt and family-friendly, the beaches of Hunstanton, Wells-next-the-Sea, Sheringham, Cromer (photo on right), and all the way south to Great Yarmouth are excellent ‘bucket and spade’ sands. These are the places to book holiday cottages in if you would like a UK based seaside holiday. The north-easterly corner of east Anglia, Norfolk juts out into the North Sea. The coastline is edged with long sandy beaches, peaceful unspoiled holiday towns where beach holidays are assured. Inland, there is beautiful countryside, forests, bridleways and trails. Norfolk is a great place for a self catering holiday for many reasons - look out for picturesque villages with windmills, and let's not forget the Norfolk Broads with its interesting wetlands and wildlife. 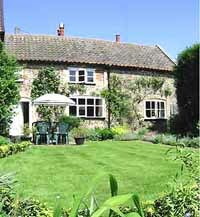 For ideas on cottages in Norfolk for a self catering holiday, a few self-catering holiday cottages, located in different parts of Norfolk are highlighted below. Traditional country cottages are quaint and homely, pleasing places to stay in which may also have original features and a good deal of character. Whatever their history, the rural cottages in Norfolk are likely to be in peaceful country lanes that are ideal for cycling, to be backed by farmland and close to good walks. The quality may begin with inexpensive simple cottages up to lavish, beamed and thatched farmhouses. 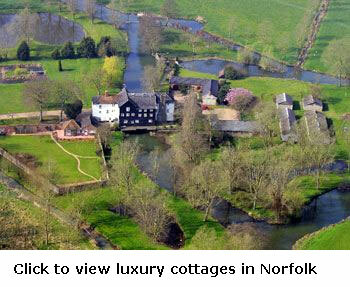 The best, most palatial cottages in Norfolk are in the luxury class of holiday cottages. These offer the most enjoyable holiday experience with large comfortable beds, often king-size or superking, high quality silky sheets, feather-light duvets, beautiful décor, the best appliances and sumptuous surroundings.The garden is likely to have stylish garden furniture and recliners. Extra thought will have gone into holidaymakers needs and desires. There may be a games room, a cinema room, swimming pool, outdoor spa, tennis court or other desirable facilities that make a holiday better. 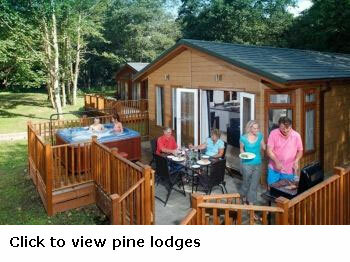 Contemporary pine lodges tend to be replacing caravans as practical purpose-built holiday accommodation. Find these along the Norfolk Coast, near Thetford Forest and other areas. Designed purely for self-catering on holiday, pine lodges are compact yet comfortable and are fitted with every necessary element for a successful holiday that people will want to repeat. They tend to have those extra leisure facilities that people really want on holiday; a barbecue area, a hot tub, a sauna or steam room. Parking is often longside the lodge which is convenient for most people. The county of Norfolk is known for its pretty villages, idyllic rural areas and for its coastline. In Norfolk you can get that wonderful combination of coast and country. You can also enjoy spending time on beautiful waterways in the Norfolk Broads which are best explored by boat. For wildlife, farming landscapes and waterways Norfolk is a great holiday destination. 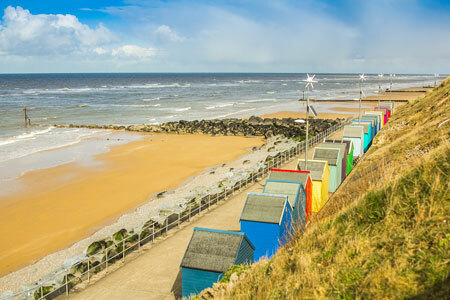 For more information on self catering holidays in Norfolk see our Guide to Norfolk. It is beneficial to rent a holiday cottages as close to one of Norfolk’s beaches as possible. This makes the daily trip to the beach effortless with no need to take food because it’s just a short walk back to your holiday home for and-free sandwiches or a BBQ. You may still need to take a wind break with you because those beautiful broad Norfolk beaches can become a little windswept. Imagine, how nice it would be to stay a road or two away from the beach, to be able to walk down there at a moment’s notice. You may wish to go sightseeing during the day and enjoy a stroll on the sands in the evening. You may like to explore the possibility of staying in a comfortable cottage in Holme-next-the-Sea? We hope that you find a perfect seaside cottage for your Norfolk holiday. There are small Norfolk cottages for two, larger family accommodation and also cottage complexes with numerous facilities and perhaps a shop. If it’s your heart’s desire, treat yourself to a few days holiday in a Norfolk country cottage or pine lodge with its own hot tub. On holiday, people have the time to while away a few minutes each day soaking and being massaged by jets of water in the hot tub. It is really pleasant when the hot tub is situated in the garden so that there are lovely views to admire, birds to watch soaring overhead and have time to smell the roses. Norfolk is a largely rural county with lots of little cottage scattered throughout the lanes and villages. 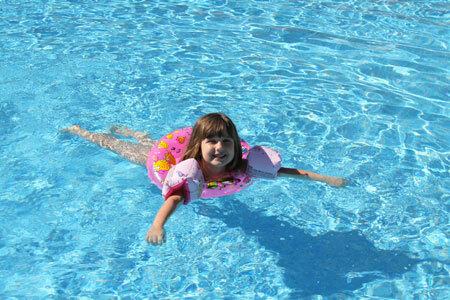 A cottage with access to a swimming pool on-site is a fun-filled holiday for all. Clean and safe with supervision, a daily swim or splash about is enjoyable and no hassle when it is only a few metres from your Norfolk holiday home. Find a list of Norfolk holiday lets with a private pool or a communal facility shared by a group of holidaymakers. Remember to bring a couple of swimsuits, one for the beach which can get sandy without concern and one to use in a swimming pool or hot tub that is sand free. Holidaymakers may also bringtheir own lilos and pool toys to make each swimming session that more fun, but do check with the cottage management first. This charming 2 bedroom cottage is located near Thetford in Norfolk. With a pleasing village location in Great Hockham, Thetford and Thetford Forest Park are not too far away. There are plentiful opportunities for country walks and cycle rides in this part of Norfolk. This cottage sleeps up to 4 in 2 bedrooms. The owners have really taken the time to think about what guests could want. The facilities here include a dishwasher so no squabbles over who washes up, a microwave for easy cooking, a washing machine and a tumble dryer. For your entertainment there is also a colour TV, video recorder and CD player. There is also an open fire in the living room so you can enjoy cosy nights in. The garden is secluded and can be a sun trap during summer time. Outside there is also a picnic table and benches so you can enjoy dining al fresco in good weather. This lovely beamed cottage adjoining our home, is traditionally decorated and furnished to create a warm cosy, cottage atmosphere & stands off a quiet country lane with unspoilt countryside views. There is a well-equipped beamed kitchen with microwave, washer & fridge: beamed lounge with inglenook, woodburning stove and central heating. Pure water comes straight from our adjoining cottage bore. 3 night breaks available, excluding July/August/public hols. Special rates for Christmas and New Year. All prices are fully inclusive. Located at Lodge Farm is this large 5 bedroom barn conversion located on the Norfolk/Suffolk border not far from the market town of Diss. Offering good quality self-catering accommodation this property sleeps up to 10 in the 5 bedrooms. Three of the bedrooms here have ensuite facilities. Other features here include a wood burner, exposed wooden beams, under-floor heating, a games area and gardens of 1/2 an acre. 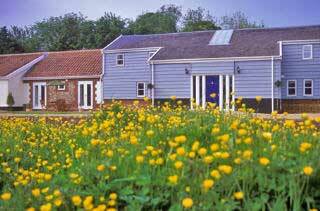 This could be an excellent base for a self-catering holiday in East Anglia. Discover the pretty villages of Norfolk and Suffolk. Villages such as Long Melford and Lavenham in Suffolk come highly recommended for their picturesque quality. Norfolk and Suffolk are well suited for relaxing holidays where the pace of life is just that little bit slower and you can really take it easy.